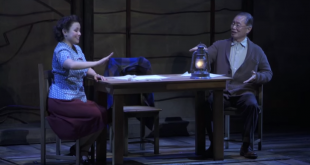 By Mark Kennedy / The Associated Press New York—Tony Award winner and The Voice of the Philippines coach Lea Salonga will join the cast of Star Trek actor George Takei’s musical Allegiance on Broadway, its producers announced last Thursday (last Friday in Manila). 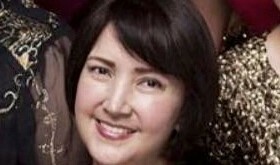 By Alvin I. Dacanay The Philippine entertainment industry is mourning the death of showbiz luminary and Movie and Television Review and Classification Board member Liezl Martinez, the only daughter of veteran stars Amalia Fuentes and Romeo Vasquez and wife of actor-director Albert Martinez, who lost her eight-year battle with cancer—first, Stage 3 breast cancer; later, Stage 4 lung cancer—last Saturday. 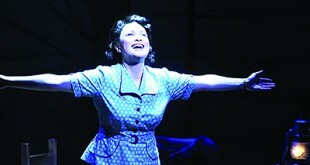 Salonga to return to Broadway with ‘Allegiance’? By Teresa Cerojano / The Associated Press Tony award-winning actress and The Voice of the Philippines coach Lea Salonga says talks have not yet been finalized on her joining the cast of Star Trek actor George Takei’s musical Allegiance on Broadway, but added that it is a show she wants to be a part of. Los Angeles—Ahead of the 87th Academy Awards on Sunday night (Monday morning in Manila), Associated Press film writers Jake Coyle and Lindsey Bahr share their predictions for a glittering ceremony that could be a nail-biter. Actress Concepcion: I’ll fight for my son! The biggest-selling instrumental artist of the modern era is recognized worldwide—particularly in China—for his smooth saxophone skills and trademark mop of curly hair. Sure, he’s long been a punchline for South Park and musical purists, but generally laughs off criticism with his own self-deprecating humor. 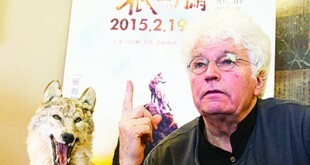 Louise Watt / The Associated Press Beijing—Asia will be tuning in to the Oscars and its glitz and glamour, even though the region’s films are missing from the shortlists. Review by Lindsey Bahr / The Associated Press Curious? One of the posters for Fifty Shades of Grey coyly asks.